Save You is the new video from Neilson Hubbard. The song was co-written by Matthew Perryman Jones is taken from Hubbard’s latest album, ‘Cumberland Island’, which was released back in September last year. Matthew Perryman Jones released his version of the song on the 2011 album ‘Until The Dawn Appears’, and it was used on TV shows including Grey’s Anatomy, Bones and Private Practice and the 2017 film The Resurrection of Gavin Stone. 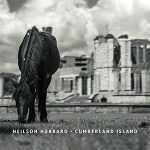 Cumberland Island is available now on CD and digital services.